Conor McGregor on being stripped of his UFC belts: "I fell out of love with the game"
It is no secret that Conor McGregor was furious after having to be stripped of both his UFC world titles. McGregor completely stepped away from the UFC/MMA for more than a year and a half before this upcoming UFC 229 bout was announced. In his time away, McGregor pursued other ventures outside the sport like pro boxing, filming commercials for some of his many endorsements, and even created his own brand of whiskey. 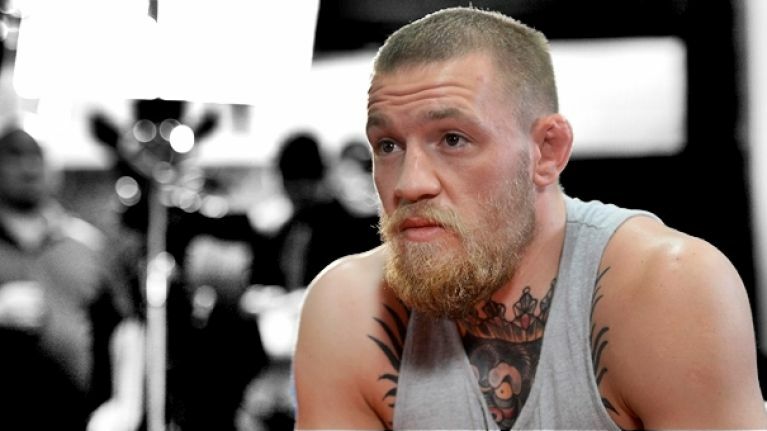 Now getting ready for his return to the octagon after that year long hiatus, McGregor recently said in an interview that his return to the octagon this Saturday night against Khabib Nurmagomedov was fueled by his renewed hunger to compete after falling out of love with MMA while being away from it for so long. “I don’t owe nobody an answer for nothing,” McGregor told The Mac Life. McGregor then pointed out that the UFC stripping his world championships from him, and what they did with them, was one of the main reasons in him losing interest in the sport. “I traveled the world with him, it was a two-year build up and he ended up pulling out at the last minute. When I ended up fighting him, I knocked him out in 13 seconds and then they gave him the belt back as soon as I walked outside the Octagon in Madison Square Garden. And then what? About a month or two [later], the lightweight belt is stripped from me also. McGregor then went on to talk about some of the mishaps that happened with him making an earlier attempt at a UFC return which included a last minute offer to face Frankie Edgar at UFC 222 after Max Halloway had to withdraw from the event in what was suppose to be a bout for the UFC featherweight championship. But according to McGregor, the reason he didn’t fight was because the UFC felt the risk wasn’t worth the reward at the time. “It was only a couple of days out from it, so I said 155 for that one. But they refused me because they anticipated that it would have cost them too much money to show up without having too much time to promote. However, I was willing to take a pay cut,” he revealed. McGregor also claimed that a rumored fight with Rafael Dos Anjos for a interim welterweight title didn’t transpire due to similar issues. “Then, the Dos Anjos fight later on, it was an interim 170-pound belt in Rio de Janeiro, May 5th. I reached out again, ‘Let’s take this contest, but let’s not let the same error happen in the Frankie contest, let’s discuss’, I was willing to take a pay cut.